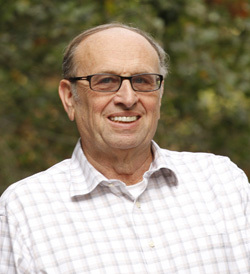 UC Santa Cruz physics professors Howard Haber and Abraham Seiden will give the UCSC Faculty Research Lecture on Tuesday, February 11, at 7 p.m. in the Music Recital Hall on the UCSC campus. The event is free and open to the public. Titled "The Higgs Boson Unleashed," it will be the first joint presentation of the annual Faculty Research Lecture, which is the foremost academic research honor bestowed by the UCSC Academic Senate. Haber, a theoretical physicist, and Seiden, an experimental physicist, both played significant roles in the landmark discovery of the Higgs boson in 2012. The idea of a Higgs field that gives mass to elementary particles was introduced in 1964 in work that led to the 2013 Nobel Prize in Physics awarded to Francois Englert and Peter Higgs. Confirming the theory required detecting the Higgs boson particle, which was very difficult to do. Providing a path for discovery of the Higgs boson took many years of work by both theorists and experimentalists. In their talks, Haber and Seiden will discuss UCSC's role in this work. Haber coauthored the definitive text on the subject, the Higgs Hunter's Guide, published in 1990. 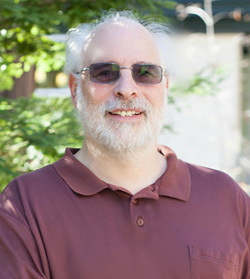 Seiden, the founding director of the Santa Cruz Institute for Particle Physics (SCIPP), led a team of UCSC researchers who developed a new type of detector for tracking charged particles based entirely on silicon technology. The SCIPP team built the silicon detector for the ATLAS experiment, one of two experiments that found the Higgs boson at the Large Hadron Collider in Geneva, Switzerland. Haber went to MIT as an undergraduate and earned his Ph.D. at the University of Michigan. He came to UCSC in 1984. A fellow of the American Physical Society, he received a prestigious Alexander von Humboldt Research Award in 2009. He is a member of the Particle Data Group, an international collaboration, and was recently elected as an honorary member of the Aspen Center for Physics in recognition of his extensive service. Seiden earned his B.S. at Columbia University and started his graduate studies at Caltech before following his thesis adviser to UCSC, where he earned his Ph.D. in 1974 and joined the faculty in 1976. A fellow of the American Physical Society, he received the Outstanding Faculty Award from the Division of Physical and Biological Sciences in 1995. He is currently leading a consortium of U.S. physicists working on a new particle detector that will be the first major upgrade for the Large Hadron Collider, the world's most powerful particle accelerator. The Faculty Research Lecture is presented by the UCSC Academic Senate and Office of the Chancellor. It will take place from 7 to 9 p.m., followed by a reception. Admission is free; parking is $4. Doors open at 6:30 p.m. For more information, call (831) 459-2086.